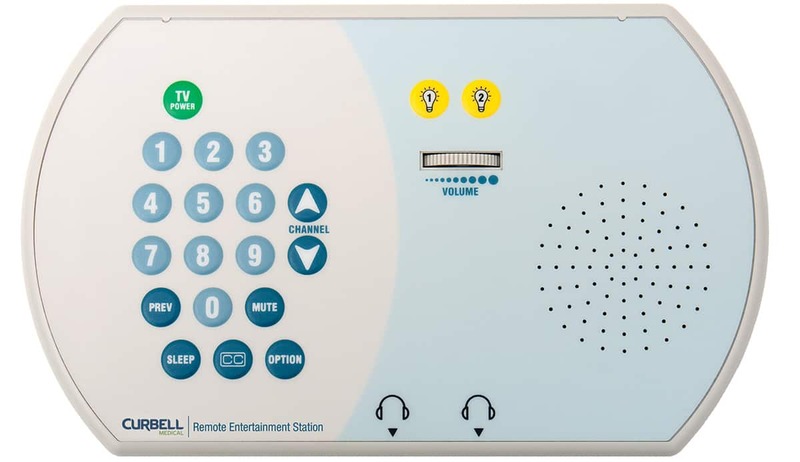 Curbell’s Remote Entertainment Station provides convenient wall-mounted control of a healthcare grade television, and up to four low-voltage room auxiliaries for visitor use. It allows supplemental television access without disturbing the patient, preserving a quiet atmosphere. 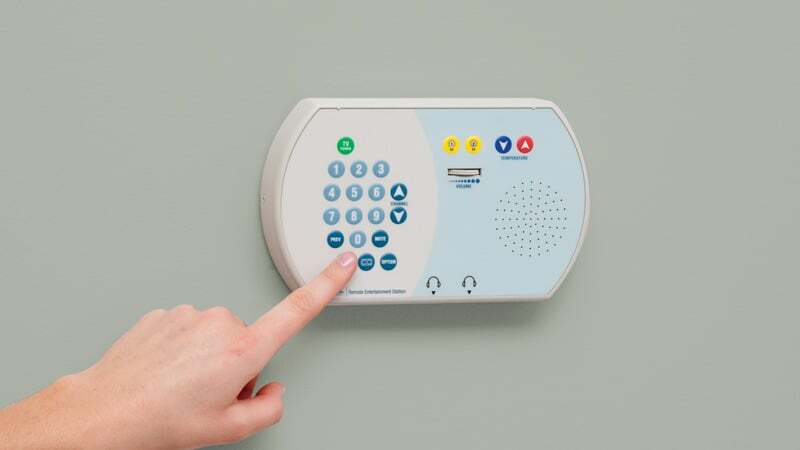 It can also be used in waiting and lobby areas to eliminate the need for remote controls. The Remote Entertainment Station provides easy access to the same TV features as a pillow speaker. Visitors can watch television in the hospital room without disturbing the patient. In waiting rooms, audio is brought to the seating area, helping to create a quieter atmosphere.